Congratulations to Dominic, for the publication of his paper, A Novel Method for Investigating Broadband Velocity Fluctuations in Axisymmetric Screeching Jets in the American Institute of Aeronautics and Astronautics Journal. 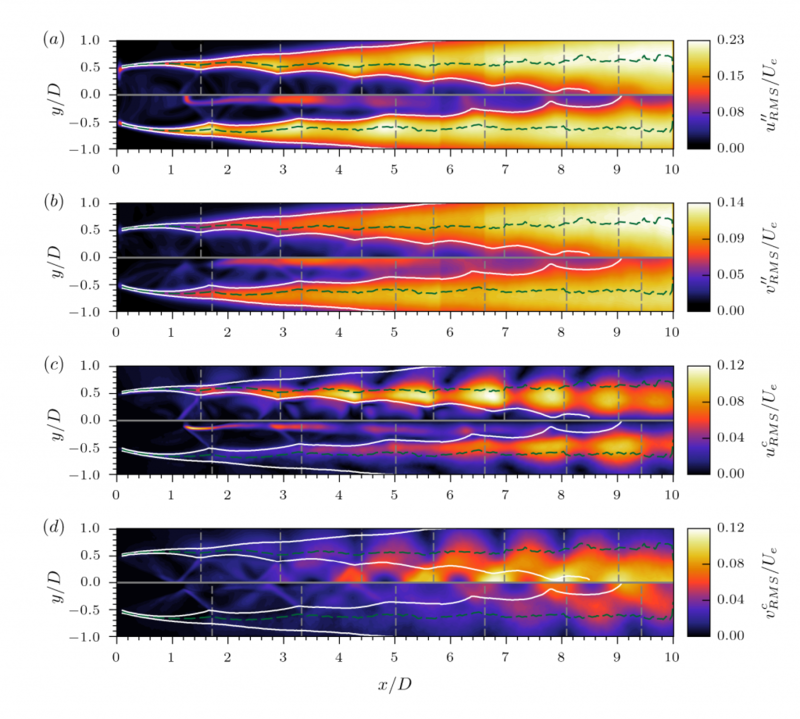 This paper presents a method whereby Proper Orthogonal Decomposition can be used to decouple the fluctuations associated with screech, from the fluctuations associated with the broadband noise generating component in supersonic jets. Essentially, the paper allows a separate consideration of the structures involved in two different noise mechanisms – screech and turbulent mixing noise.